So have the details of his world come together, and so has his life played out on a larger scale. At age three in Toronto, striking piano keys like beats on a drum until the sounds that came out made sense in his mind, he discovered notes and then music and, quickly thereafter, that both flowed through him like a pulse. Studied hard at the keys and the books, then left high school with a diploma and a sweetheart to become his wife. Also a personal vow, after hearing the song for the 1988 Calgary Olympics, to one day write the theme when the Games came back home. Graduated University of Western Ontario in 1994, had composition and piano performance down. Passed up Berklee College of Music in favour of writing and producing with Sony/ATV Music Publishing. With two little penguins of his own—one five years, the other a few days—a new world of inspiration has come. Being 2005, it was early days yet; Stephan held onto the theme as he did his daughter, and time played out a beautiful melody as they waited. The world took note as his music came to life on the page and the airwaves. He played live in honour of Bill Clinton’s 60th birthday, for Robert Redford’s family at his Utah ranch. Hosted the G20 summit, and headlined the ONEXONE Gala with MC Matt Damon. Wrote songs for the Canadian Tenors, Sarah Brightman, Josh Groban, Edwin and Olivia Newton-John. And then, amid all those stars, the ones overhead aligned perfectly. The notes that appeared in fragments years before finally fell into place on the scale, fell into words through Alan Frew. Come 2010, Nikki Yanofsky put a voice to Stephan’s music, and I Believe transfixed the world. Hurtling forward prestissimo, juggling children, lots on the go and ideas to spare. Composing the theme for Canada’s Walk of Fame. Writing hits for explosive new Canadian rapper Reema Major. Penning lyrics and music for The Voice in Nashville. Submitting to film for a documentary on his life (via filmmakers April Mullen and Tim Dorion). Signing a new publishing deal with Universal Music Group. But don’t forget: Canadian Bijou Records, and his little penguins, who will always be singing close by. Heart and soul are never far away. “I believe in creating your destiny. Did I believe I was destined to write the Olympic theme? Yes, because I was so passionate about it. I knew I had that drive, I knew I was going to be able to overcome everything in between. 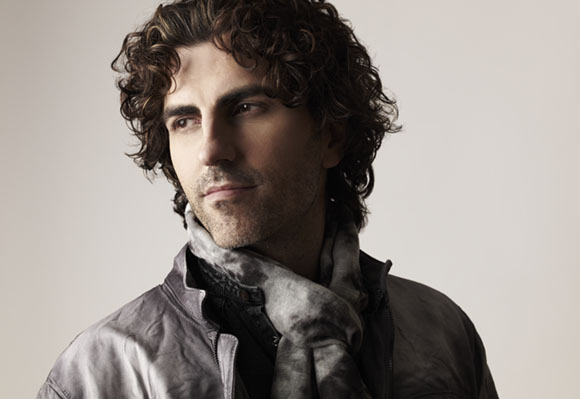 For the latest on Stephan, visit stephanmoccio.com, email info@stephanmoccio.com, ‘Like’ his Facebook page, or follow @StephanMoccio on Twitter. For a taste of his genius, click here. Thank you to Kickass Canadian Ray Zahab for recommending Stephan. Another goodie. I love reading about people’s love of music; I don’t create it myself, but I can identify with the feeling of intoxication that some music can bring. I know music has played a powerful role in my life… Nice article. Thanks Camille! Stephan is bubbling over with passion, talent and inspiration; it was clear simply in talking with him. He’s also a genuinely nice person, not at all pretentious. A real pleasure to write about! Glad you liked his story.